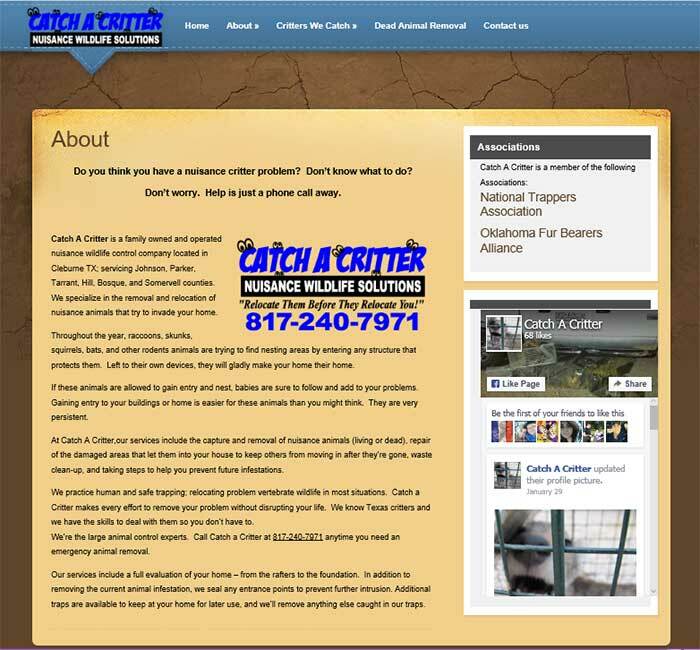 Catch A Critter is a business serving the Tarrant County and Johnson County, TX areas. 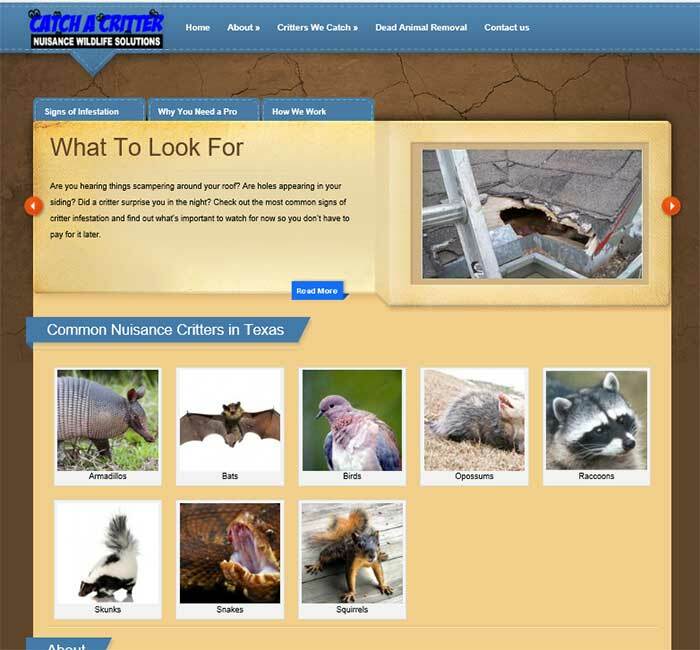 They remove nuisance animals (opossums, skunks, bats, etc) for home owners in the areas around Fort Worth. 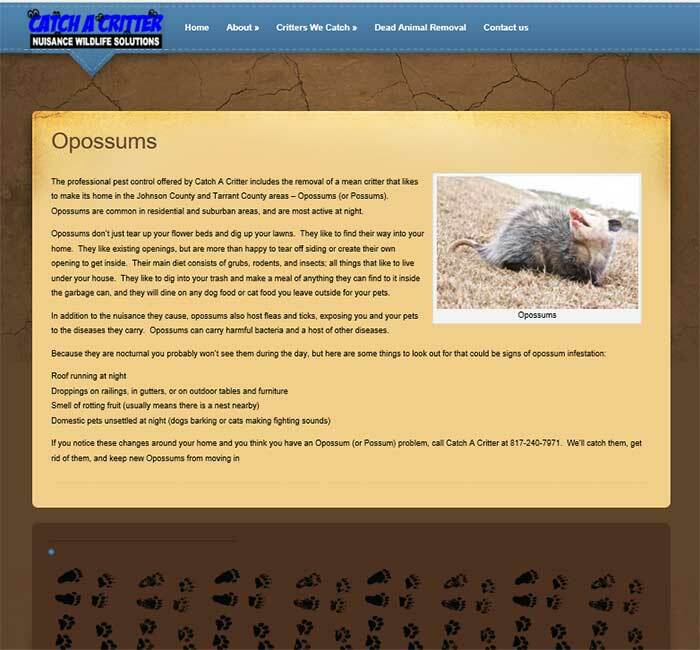 As a start-up business, Catch A Critter realized the best way to promote the company was to establish an online presence as soon as they opened the doors. They contracted Gonzo Strategies to develop their site and fine tune their website content. They wanted a website that would keep the western flare of the area, while still appealing to a female audience, because women are usually the ones who make the decision to hire them. We created a site that featured the animals they removed. We also informed their audience about the dangers of not removing these animals. Next we created a Facebook business page for them to connect with their audience on a regular basis, and hooked it up so the page would feed their website.